Here are 5 reasons why the DJI Phantom 5 is not coming anytime soon. Hope you like it! ← News: Runcam 4 is coming?! retractable …weatherproof 360 camera ……built in tcas ….interchangeable lenses ….YES WE WILL SEE PHANTOM 5 ! in the meantime the Mavic 2 Enterprise will be my next toy ? why ?? WHYNOT !! DJI is not going to just layoff 5000 employees ! What about Mavic air 2?? That‘ s what I’m hyped for ! I would agree. Bigger and better is for those in the professional or commercial market who would go for the Inspire. For the amateur market you have the Spark for those who don't want or need (or as the comment below suggests can't differentiate) more capability. The Mavic Air is a great solution for most. The the Mavic 2 Pro covers more advanced users who want to have better photographic performance in low light conditions, better flying performance, longer battery life, and a quieter drone. Phantom 5 will be introduced in March 2019 according to other introductions. Yes and no, depends on the target market. For personal use Mavic line is more than enough, for smaller pro entities Phantom line is still a solid bridge between Mavic and Inspire lines. IMHO, that is why we did not get 60 fps on M2P. Solid camera, 60fps, eventually interchangeable lenses, maybe better weather resistance for $2K vs $6K+ inspire? Why not? 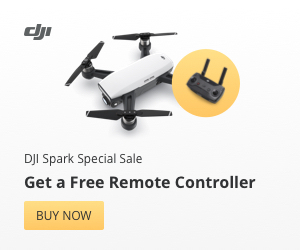 I hope it's coming, the Mavic 2 isn't worth upgrading from the Spark. Unfortunately, thanks to the almighty dollar and something called GREED,the Phantom five will be coming in 2019 first-quarter, that's my prediction. If you noticed every time they release a drone they always leave things out TO entices us to keep having to buy new drones. FOR instance, the Phantom five will be waterproof, ABSOLUTELY! how many of us look outside, see rain and are so upset we can't fly our drones? most of us! Lol…So there you go are you willing to spend $2,000 $2,400 if you can fly your drone no matter what the weather is? As much as I want to say no they got me! Bastards! Lol lol. But I swear to you that will be my last DJI drone I buy! Unless they release a Inspire 3. Lol lol. No not really. AGREED! to big! and I'm not a professional and need that! I think ad hope you are wrong. Same story for camera. Why Nikon, Canon and other are still selling big camera ? I hate mavic pro line. I much prefer the Phantom line. Having 1 inch sensor with differents lenses would so great. So, you ask at the end of the video, and my answer is: I don't agree. It is similar like in mobile phone market. Nobody is suprised anymore.